What if Monet or Rodin had editors? How would that have affected their artworks? Would George Balanchine be considered as great a choreographer if someone else had a say about what movement stayed or went in his choreography? Sparked by “Do choreographers need editors?,” a 2014 article by Judith Mackrell in London’s The Guardian, Pittsburgh natives Shana Simmons and Erin Carlisle Norton and their respective companies explore the idea of outside editing in dance in Objective I, Dec. 4-5 at the Kelly-Strayhorn Theater’s Alloy Studios. 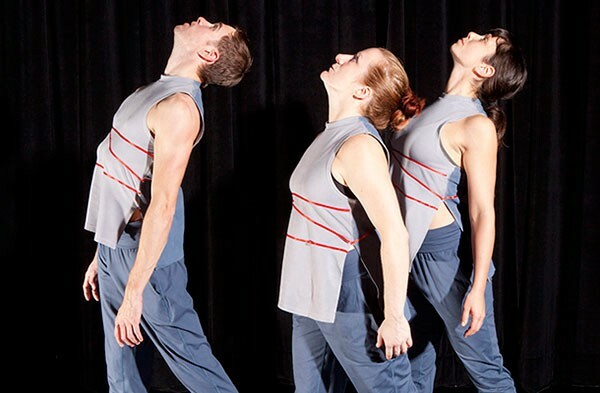 The split-bill production by Shana Simmons Dance and New York-based The Moving Architects is the first installment in the theater’s Alloy Creation Lab, a residency series supporting collaborative experiments. “The article struck a nerve with me in a way I have never thought about different art forms and the processes they go through, such as authors and their books and directors and their movies,” says Simmons. 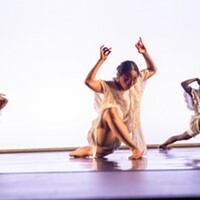 Simmons, an adjunct professor at Point Park University, sees that dance attracts fewer dollars and devotees than art forms that undergo a formal editing process, such as fiction and film. “Such an editing process could potentially be a way of shifting dance to be more accessible to people,” she says. Choreographers seeking an outside perspective is nothing new. But the idea of turning one’s work over to another to make permanent changes is foreign, and it’s what intrigued both Simmons and Norton ─ at least at first. Working in part during a recent creative residency at Chambersburg, Pa.’s Wilson College, the two choreographers independently created new works for their companies using ideas of placement and displacement as jumping-off points. Then each turned over her finished work to the other to edit. Simmons’ new 10-minute piece, “Red Rover, Red Rover,” is set to an original soundscape by PJ Roduta and explores the idea of boundaries and borders that separate people and countries. Norton, speaking by phone from her home in New Jersey, says that in her editing of Simmons’ work she “changed the intention of the dancers and how they related to each other.” Conversely, Norton’s work “Americana,” about the interpersonal struggles of the American family during the Great Depression, Simmons changed much more, including its pace and structure, adding repeating sections that actually made the work longer. “It wasn’t my piece anymore,” says Norton. Both Norton and Simmons followed agreed-upon guidelines in the editing process, but both say they have mixed feelings about the outcome. They also found it hard to get used to the idea of letting go of complete ownership of their works. The two works, in both their original and edited forms, were shown publicly at New York City’s Gibney Dance Center on Nov. 21. Audience members decided which version of the works would be performed in Pittsburgh. Their reactions, along with other aspects of Objective I’s development, will be part of a 10-minute video documentary by Louis Cappa shown in advance of the Pittsburgh premiere of the versions chosen. The 90-minute program here will also feature repertory works by each company unrelated to the editing project. 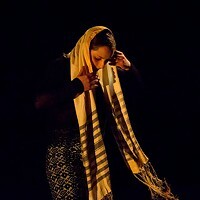 The Moving Architects will present a 15-minute excerpt of Norton’s “Demure as Dynamite,” which looks to women of the Bible as depicted in the poetry of Norton’s late grandfather, Thomas John Carlisle. “I was drawn to these women’s strength in a male-dominated world,” says Norton.